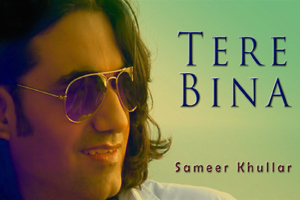 A pop rock song sung by Sameer Khullar, Shashika Mooruth starring Sameer Khullar & Maria Jurkina. Features: Sameer Khullar, Maria Jurkina. The video of this song is available on YouTube at the official channel Crescendo Music / Productions. This video is of 5 minutes 25 seconds duration. Lyrics in Hindi (Unicode) of "तेरे बिना"